SICHUAN, China, June 26 /Christian Newswire/ — All 18 house church leaders arrested in Langzhong city, Sichuan province on June 9 were released due to pressure from many supporters who called the PSB office after seeing ChinaAid’s press release. Thirteen of the leaders served administrative detention for 10 days and were released on June 20 (Beijing time). The five leaders sentenced to criminal detention were released on June 23. 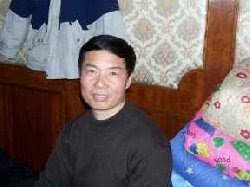 The house church leaders were arrested on June 9, when more than 30 house church leaders were gathered in Pastor Li Ming’s house church at 5:30 p.m. in Langzhong city, Sichuan province. Several dozen officials in six to seven police vehicles from the local Domestic Security Protection Squad surrounded the site, then arrested all 30 of the Christians and searched the house. Police released 12 leaders the same day, but detained 18. ChinaAid, together with 18 released house church leaders, express heartfelt gratitude to those whose prayers and phone calls led to their release.